iRealHousewives | The 411 On American + International Real Housewives: The Real Reason Behind Luann de Lesseps And Tom D’Agostino’s Divorce Revealed! 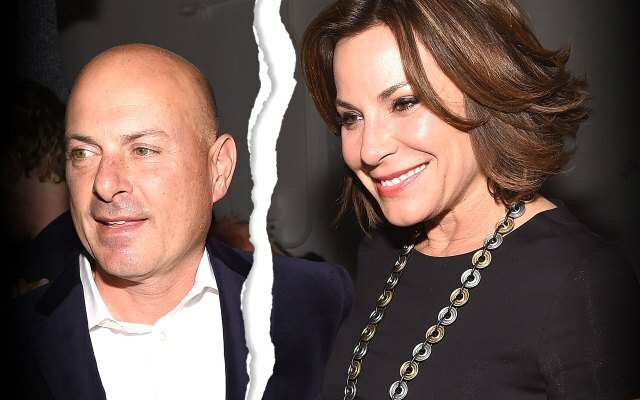 This week, Luann de Lesseps took to social media and announced she was divorcing her husband Tom D'Agostino of seven months. "It's with great sadness that Tom & I agreed to divorce," The Real Housewives of New York City star wrote on Twitter. "We care for each other very much, hope you respect our privacy during this sad time!" Now, new details have emerged about what really went wrong between this pair. "He wanted to live his bachelor's life too. He's never been married," a source shared with E! News. "She wanted a marriage, he wanted a part-time marriage." Another source added, "He was always kissing other girls. When you're a bachelor for 50 years, it's hard to break old habits. But she loved him and wanted to make it work. He loved her too, but had a hard time staying focused." Apparently the reason why Luann decided to file for divorce was simply because she had enough with all the reports and rumors surrounding her marriage. "She just broke down and got tired of trying and hearing these stories about his infidelity," a source shared. "She's going away tomorrow with her kids to regroup. She's a mess." For the past several weeks, Luann continued to defend her relationship during several appearances including a stop on Watch What Happens Live. Most recently, the mother of two stepped out at Jill Zarin's charity luncheon where she assured fans that her relationship was on good terms. "Luann denied all the rumors because she was trying to make it work. She was desperate to make it work," our insider shared. "In Sag Harbor on Saturday, he left her and went to meet friends at a bar and one of the girls was his ex-girlfriend." Meanwhile, other sources reveal that is was actually Tom who wanted out of the marriage. "He is the same person he was when Luann met him. He likes to go out and talk to people, but also wanted to live a private life with Luann," the insider tells Us Weekly. "Tom couldn't handle the reality TV lifestyle. He was waiting for the hamster wheel to stop after filming, but it did not." Apparently, it was Luann's lavish lifestyle that was too much for the businessman. "Tom is a very private person," the source tells the publication. "He's very close with his family and he can give a presentation to thousands of people, but hates having a camera in his face." Still, D'Agostino wants nothing but success for de Lesseps. "He truly loves Luann and wishes her the best," the insider adds. Labels: LuAnn de Lesseps , Luann de Lesseps And Thomas D'Agostino's Divorce , Real Housewives News , Real Housewives of New York City , RHONY , RHONY Season 9 , Thomas D'Agostino Jr.